Some facts About Us: Meo landscapes was established in 1999 by owner Greg Meo, we are landscapers and contract services. We are happy to work for clients both in the commercial and domestic markets and offer many of our services to other landscapers on a Sub Contracting basis. Greg previously worked for Notcutts as a Landscaper and within the Agricultural industry were experience was gained spraying, hedge cutting and preparing ground for Potatoes and Turf. Later developed skills as a potato trader/fieldsman. Greg has had over 20 years’ experience in Landscaping and was swift to gain reputation in the construction of fine domestic garden builds and management. Meo landscapes has now expanded its areas of expertise in Lawn and Paddock establishment and now offers core Landscaping and Contracting services associated with the garden, forestry and agricultural industry. 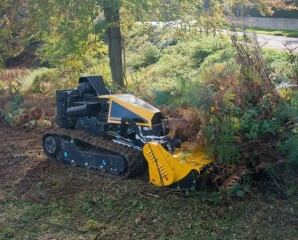 We undertake works of a variation of sizes from a £100 garden clearance to a major Landscaping project. Operating from its base in Loddon we cover the entire East Anglian region with main works in Norfolk and Suffolk, we would however any geographic locations. We are a small unit that is split into 3 main core business operations including Grounds Management and Grass cutting, Domestic Landscaping and commercial contract services. We are currently investing in new technologies, increasing our machinery and equipment, In example the multi tool, McConnell Robo tracked machine that increases productivity by 65%. You will find a detailed list of all our services within these web pages. Please feel free to contact us directly if you wish us to tender for works or offer a quotation .